Christy Ring was a native of Cloyne and one of Ireland’s greatest ever hurlers. The memorial in the village was erected in 1983 and is the work of Yann Goulet. 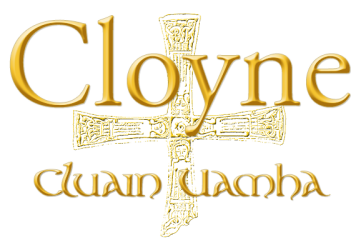 The tradition of producing great hurlers thankfully lives on in Cloyne. 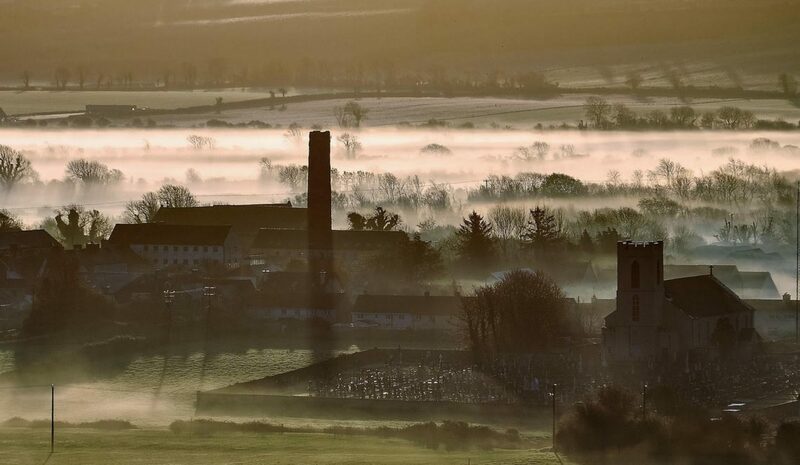 Christy was born at Kilboy, Cloyne in 1920. He grew up in a house that occupied the site of this monument. As a youngster he showed great hurling promise and at 14 he won his first medal with Cloyne. He later won a county minor medal with St. Enda’s (1938) and a county junior medal with Cloyne (1939). He starred with the Cork minors in their All-Ireland win of 1938 and, while still a teenager, he played with the Cork juniors and seniors in 1939. 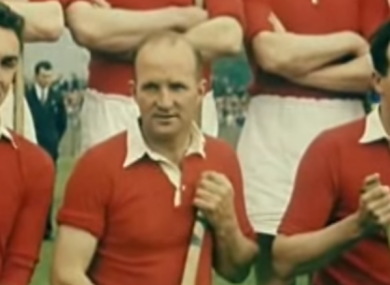 He captured his first league medal with Cork in 1940 and he was chosen for Munster a year later. When Christy moved to Cork City to work as a driver with C.I.E. and later Shell Oil, he joined Glen Rovers in 1941 and won the first of 13 County medals. He also collected a senior football medal with St. Nick’s. His Cork career saw him shining in the first four-in-a-row (1941-1944) and he gave a sensational display as winning captain in 1946. By the 1950s his early colleagues had retired but Christy’s renown increased as he helped Cork to win a further three-in-a-row. He captained the county again in both the 1953 and 1954 wins and he became the first man to win eight All-Ireland medals. In 1956 he was deprived of the ninth medal by Art Foley’s famous save for Wexford. Notwithstanding that defeat, Christy continued to play for Cork, Munster and Ireland into his forties. He was top scorer in 1959 when he also became Hurler Of The Year once again – at 39! In the 1960s Christy’s longevity as a star hurler was astonishing. He scored 3-4 against Waterford in the Munster semi-final of 1961 and over 60,000 people crammed into the Limerick stadium to see Cork play Tipperary and watch Christy in action in the Munster final. Although Cork lost that game, Christy was top scorer and a year later he scored the winning goal for Glen Rovers late in the County final against UCC. Aged 44, Christy captained the Glen to another County title in 1964 and two years later he led Glen Rovers to the inaugural Munster club final. He scored 1-1 in that historic victory. After 23 years in the county colours Christy played his final game with Cork in the summer of 1963 – a tournament at Fermoy – and his last match with the Glen in 1967. Subsequently, he became a revered Cork selector helping the county to win the three-in-a-row (1976-1978). His sudden death in 1979 shocked the hurling world. At just 58, Christy still had so much to give. Christy Ring won all the top awards in hurling and set many records. His roll of honour includes 8 All-Ireland senior hurling medals, 9 Munster titles, 4 National Leagues and 18 interprovincial medals with Munster. He captained Cork in 3 All-Ireland finals and was the first player to receive the Liam McCarthy Cup three times. Can one tonight hold candlelight to Cork’s own Christy Ring?